Today for Wedding Wednesday, I'm proud to announce another guest blogger! Chloe from How We Flourish (formerly Healthy People, Healthy Planet) is going to tell us all about save the date cards! 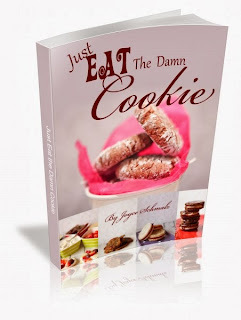 She has some awesome tips that I couldn't agree more on! I chose not to do save the dates in order to save money, time, stress and the fact that we didn't have that many out of town guests. Whether you have a lot of out of town wedding guests or you just want everyone to be able to plan ahead for your wedding, save-the-dates have become another expected part of wedding planning. But do you really need to spend a dollar a piece PLUS postage for a hundred cards with your face on them? I don't think so! Do I even need save-the-dates? Answer: It depends. Technically, no, you don't. There is nothing in wedding etiquette law that says you must send out save-the-dates. If you are having a small or local wedding and everyone already knows your date, feel free to skip! However, depending on your guests, you may want to. 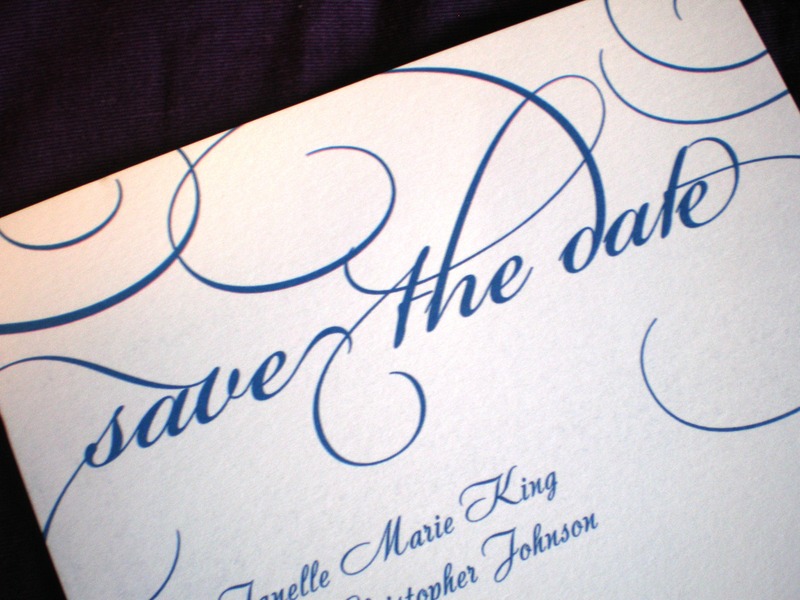 Formal invitations typically go out 6-8 weeks before the wedding, so your guests may appreciate a heads up. Save-the-dates can be used not only to inform guests of the date, but also to direct them to a wedding website, where you can post travel and lodging information. This may be extremely useful for out of town guests who need to plan ahead for your wedding. An important point to keep in mind is that if you send someone a save-the-date, you have to send them an invitation. No going back. For this reason, many couples choose to only send save-the-dates to out of town guests and VIPs. Certainly only send them to people you are 100% positive you will want at your wedding. Cutting back on quantity in this way is one way to save money. Okay, so you have decided you should send save-the-dates because your family is scattered across the country, or whatever your reason may be. But maybe you still don't want to print off a hundred cards and mail them out. This is fair: it costs money and there is the environmental burden of printing and shipping to consider. Therefore, if you are not concerned about the formality your save-the-dates are conveying, feel free to let people know via the internet! A simple email may do, or you can make up a design to email out (more on designing later). Keep in mind, however, whether everyone on your list has an email address they check regularly. If your grandparents or great aunt Peggy would have trouble with an electronic save-the-date, consider giving them a call or mailing one to them. For a more formal and accessible save-the-date, you may still want to go with standard paper save-the-dates. With smart shopping and designing, these do not have to cost an arm and a leg! Go with postcards. You may think magnets or hand carved wood slices are cute, and I'm sure they are. However, not only do these products cost more, but you must also pay for envelops and postage. Furthermore, anything weighing more than an ounce or that is rigid will be charged more than standard postage. Postcards, however, are cheap and postage is only 33 cents to send within the United States (at time of posting; max size 6" x 4.25"). Even simple card stock or 80 lb glossy postcards will hold up fine in the mail. Don't buy save-the-dates. This may sound like confusing advice, but hear me out. Me: "Why did you take the picture on the patio table?" Fiance: "It's artistic!" Heck, if you have the creativity and time, you can even make your postcards and print them at home! Keep your eye on the prize Above all, remember that all of this planning is about you marrying the love of your life. 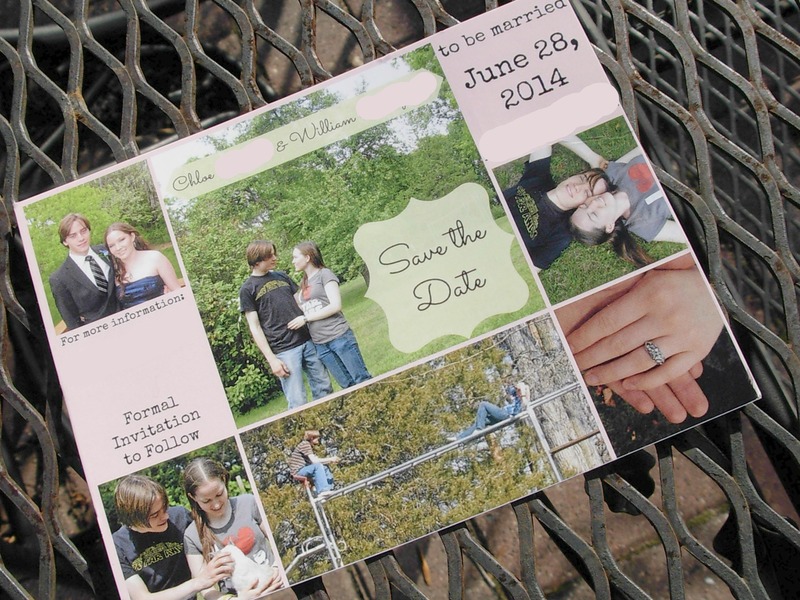 Don't worry if your save the dates aren't absolutely perfect. Do what you can and work within your budget. There are always options if you are willing to look for them. Enjoy your planning, thanks for reading, and a big thank you to Catherine for inviting me to post! Thanks again to the lovely Chloe!! We LOVE your blog! Come share some of your awesome posts on our social network - thesouthernc.com. Great spot for southern bloggers to mix & mingle on our front porch and gain new followers! We are The Southern C “The Social Network of the South” www.thesouthernc.com. Click on any of our icons to learn more. Sign up to receive the weekly E newsletter which comes out on Wednesdays. We have some exciting things going on and some really cool southerners that contribute monthly. 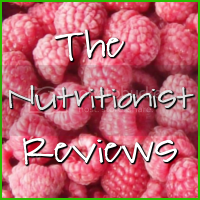 Please join our site and get engaged by adding blog posts, photos, videos, recipes and also check out and join our groups. By joining and contributing, you can be sure to gain visibility and new followers and fans. We are having lots of fun and we hope you will join us online! Here is a post from Southern Living that explains our "must-visit virtual frontporch” http://thedailysouth.southernliving.com/2013/02/13/southern-coterie-the-must-visit-virtual-front-porch/ . Thanks so much Alison! I always love networking with fellow bloggers! I've "liked" The Southern C on Facebook and Twitter so I'll get your updates now. Hope to network with you all soon! And thanks for stopping by! I really like your blog content .This is good idea to make your memorable dates become specials.Awesome tips.